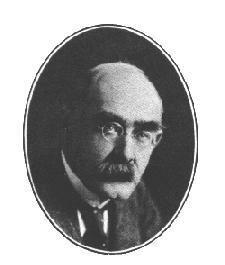 ﻿ Poetry Lovers' Page - Rudyard Kipling: "When 'Omer Smote 'Is Bloomin' Lyre"
You are here: Home » British/American Poets » Rudyard Kipling » "When 'Omer Smote 'Is Bloomin' Lyre"
INTRODUCTION TO THE BARRACK-ROOM BALLADS IN "THE SEVEN SEAS"
'E went an' took -- the same as me! But kep' it quiet -- same as you! An' 'e winked back -- the same as us!